A look at the top men’s and women’s basketball teams in the MEAC, SWAC and OVC. We’ve got one month of conference play in the books, so now is as good a time as any to look at the top Division I HBCU basketball teams. A&T is a school with a storied past in basketball, but its been a long time since they’ve been at the head of the MEAC this late in the season. Coach Jay Joyner’s squad has come a long way since winning just three games last season. Newcomer Femi Olujobi has been a big addition to the team, averaging 18 points and 8 rebounds per game. Perhaps the most important player on the squad has been Denzel Keyes, as the former football star has had several big games this season, including a 15-point second half performance against North Carolina Central on Saturday. Add in January wins against Morgan State and NCCU along with its early-season win at East Carolina and A&T is the best there is at the D1 level right now. The defending MEAC champs have already lost more games than they did last year, but that’s to be expected as they replaced their entire starting five from the 2016-17 season. TSU currently sits in fifth place in the OVC, but comes in third on this list. For good reason, though as the OVC is a stronger conference than the MEAC and SWAC.TSU came within a hair of beating Texas back in December and has come up with wins against Jacksonville State and Austin Peay as well as lower-tier teams in its conference. The Golden Lions were one of multiple SWAC teams that were winless before conference play began, but since then, they’ve been lights out. Led by Martaveous McKnight, UAPB has already managed to topple Texas Southern at home, something no one had been able to do for over two years. Grambling first opened eyes back in November when it took down Georgia Tech. It picked up a few other wins against D1 competition as well before going into SWAC play. It has had some stumbles in the SWAC, but taking down Texas Southern and beating UAPB are enough to get on the top five of this list. 1. Bethune Cookman (15-4, 7-0): Last season’s MEAC runner-up has picked up where it left off. 2. North Carolina A&T (11-7, 6-0): A&T has won seven in a row. 3. Norfolk State (12-6, 5-1): The program has come a long way in a short time. 4. 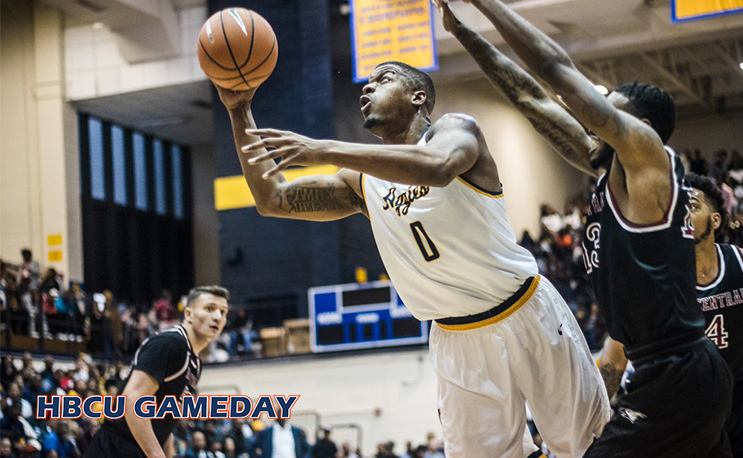 Southern (9-9, 8-1): A trip up against Prairie View is SU’s only SWAC stumble. 5. Texas Southern (12-8, 7-2): Joyce Kennerson and Co. look like a strong contender to repeat as SWAC Champs. Grambling beat Southeastern Louisiana which is a D-1 school in non conference play this season.